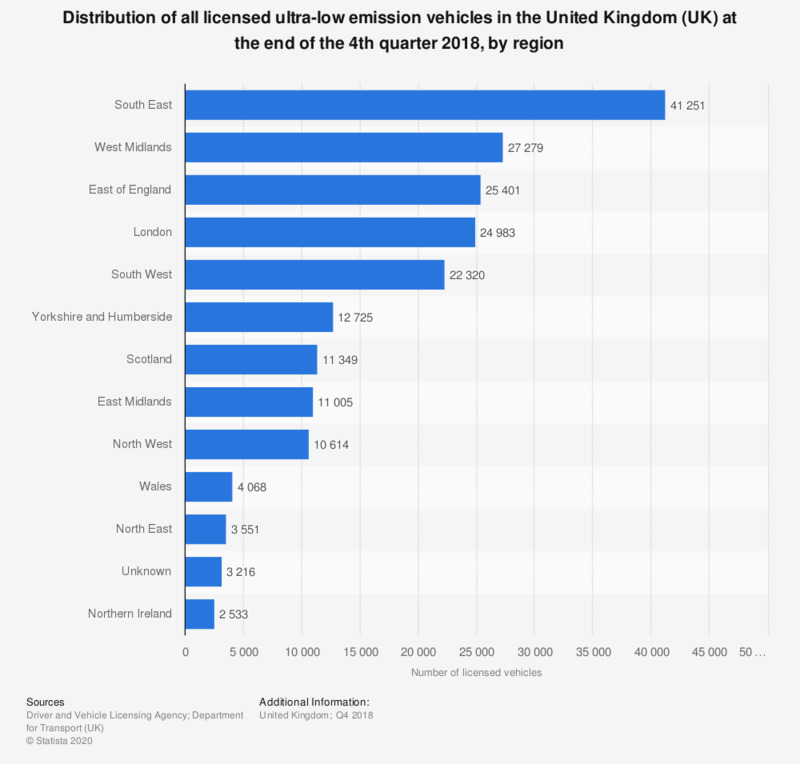 This statistic shows the distribution of all licensed ultra-low emission vehicles across the United Kingdom (UK) at the end of the fourth quarter of 2018, by region. These vehicles included cars, micro-cars, motorcycles, vans, heavy goods vehicles and buses and coaches. By the end of 2018, South East had the biggest number of ultra-low emission vehicles with more than 40 thousand units.